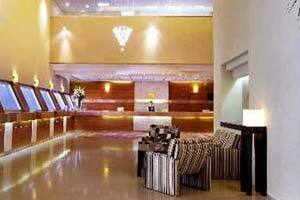 The Sharon Hotel | Gate 1 Travel - More of the World For Less! 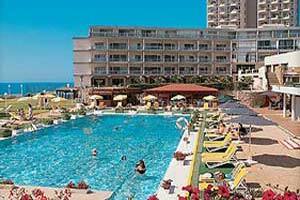 This superior first class hotel is located in the suburb of Herzliya on the seashore with splendid views of the Mediterranean. 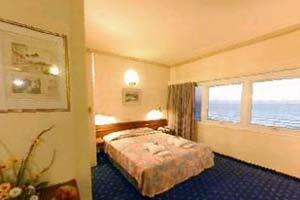 Guest Rooms: Comfortable rooms are decorated in contemporary furnishings with modern amenities. Non-smoking rooms are available upon request. Enjoy the hotel's indoor and outdoor pools, sauna, and health center. 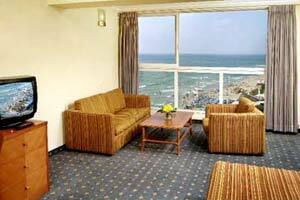 Location: Hotel is located on the Herzliya seashore with direct access to the beach. 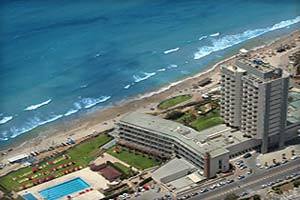 Herzliya city center is 3.6 miles, Herzliya Station is 1.8 miles, and the nearest bus stop is only a one minute walk. 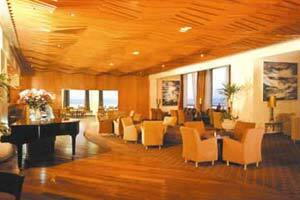 Restaurants: Aquarella Lounge and Bar serves light meals and drinks. The Taverna Restaurant offers international cuisine breakfast, lunch, and dinner. Hotel also has a poolside snack bar and coffee shop.